Launched in 2003, with an array of student notebooks, Classmate currently is INDIA'S NO.1 NOTEBOOK BRAND* and offering a comprehensive stationery portfolio with writing instruments (ball, gel & roller pens and mechanical pencils), mathematical instruments (geometry boxes), scholastic products (erasers, sharpeners and rulers) and art stationery products (wax crayons, plastic crayons, sketch pens and oil pastels). Classmate stands for identifying and celebrating the uniqueness of every child. The brand encourages each user to nurture the skills and interests that make them special, with confidence, to make their dreams, reality. The Classmate philosophy is simple: Everyone is born unique. Classmate stands for the celebration of this uniqueness within every individual to ensure that the seed of originality does not get lost. Classmate encourages its users to nurture their true talent, follow their true calling and become whatever they truly want to be. Classmate aids in this by offering high quality products that are affordable. After all, in the right hands, a pen can be much more than a pen, and a notebook can be a window to the world. As a partner and friend to children during their most important years, Classmate attempts to create an environment for them to learn and grow in, as they write their own futures. 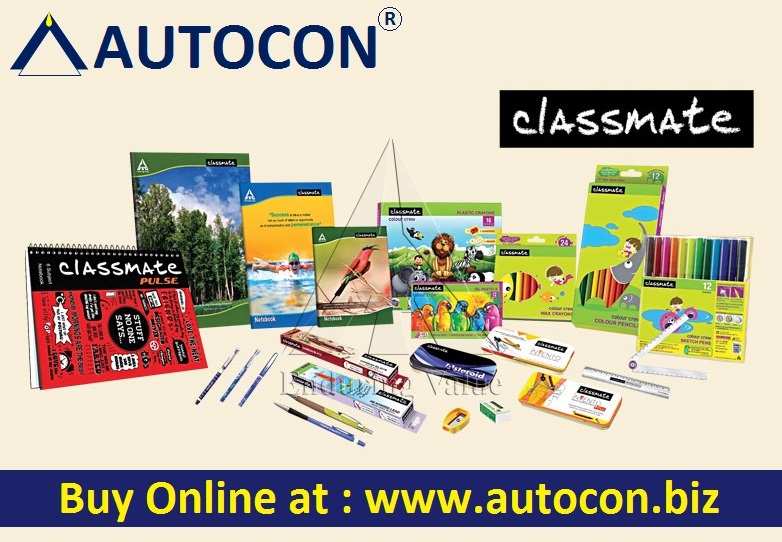 Notebook, Pens, Mechenical Pencils, Art Stationary, Mathemetical Instruments, Puzzles.